New Delhi, Nov 25 : The Tamchon Football Tournament, an annual event, is being held in New Delhi. The ongoing event is attracting a large number of spectators. The 15-day carnival of football and cultural extravaganza was inaugurated on November 16 at Dr. Ambedkar Stadium here. A total of 16 teams comprising of players from different northeastern states are participating in the tournament to promote peace, friendship and unity among the youth of the country. The event has been organized under the aegis of Tanghkul Naga Society Delhi with support from various government and private agencies. "We want to promote understanding, fraternity among the various communities of the northeast India. We would like to provide opportunity to our young talented football players. As far as talent is concerned we are second to none," said Ramnganing Muivah, President, Tanghkul Naga Society Delhi. During the opening day ceremony, young artists from Tripura performed a harvest dance. Donny J from Assam enthralled the audience with his melodious voice. Later, choreography was also performed by Donny, along with his group. "It's a good platform to showcase our rich folk dance. I am happy that different people get to see our cultural dance and also it's good to meet different people from Northeast. I feel very good to perform here," said Mukta, artist, Tripura. 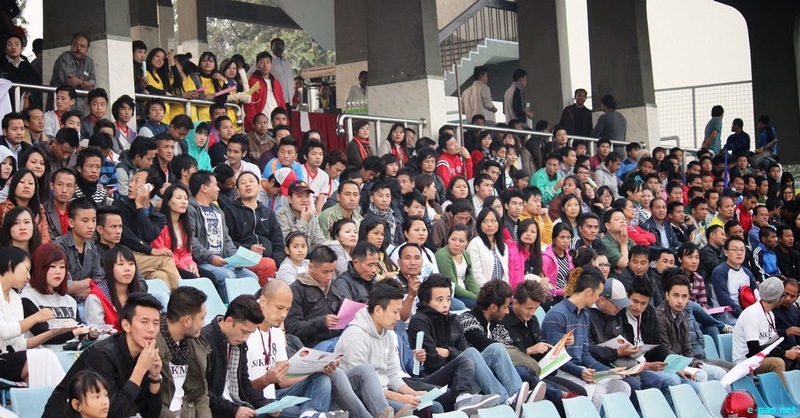 The main attraction on the opening day of the tournament was a match between Zeliangrong Football Club (ZFC) and SSPP (FC). Good skills complimented by intense competition between the teams were witnessed on the ground. "We are very excited about the tournament. We are the last year champion and even this year we want to win. This time most of our players are new, but at the first game with all this new players we manage to win, so we are excited," said JG Jaojian, Manager, Zeliangrong FC. "Tamchon Trophy is a big scope for new talented players because many Delhi coaches and Managers are seeing our game and they told me that they need talented players for Delhi league like I-League, Santro Trophy so they told me to make it for Delhi league. So, it's a good opportunity," Gaingamlung, Captain, Zeliangrong FC. The holding of such events promotes peace and unity among different communities, and also provides a platform to players from the Northeast to showcase their skills.